These adorable mini two-bite tacos are the perfect appetizer to serve at a party (gameday or otherwise!). The spicy shrimp filling cooks up quickly and gets lots of flavor from chipotle adobo sauce (one of my fave go-to ingredients) and a cool cumin sour cream sauce. To make the mini taco shells, just use a 3" cookie cutter on regular tortillas. I used flour tortillas for these, but you can definitely use corn, too! I know it seems a tiny bit tedious, but you can stack up the tortillas and cut them all I once--takes seconds! And the adorableness makes it totally worth it. Now all you're missing is an equally adorable tiny margarita, huh? Combine shrimp with adobo sauce, lime juice and salt. Toss to coat well, then cook in a medium high skillet until shrimp are fully cooked. Toss with the red onion and bell pepper, then set aside. Whisk together sour cream and cumin. Make the tortillas by using a 3” round cookie cutter to cut mini circles out of the tortillas. 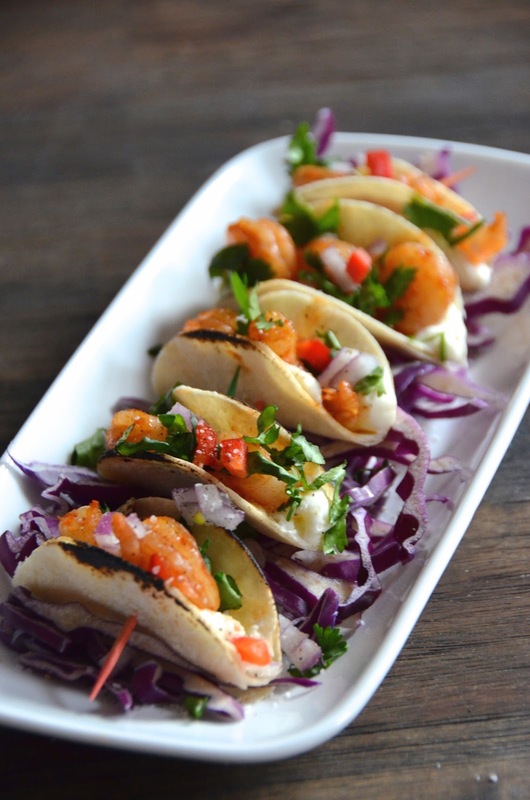 Assemble the tacos by placing a spoonful of the cumin sour cream, top with two shrimp, then skewer with a toothpick. Repeat with rest of shrimp and tortillas. 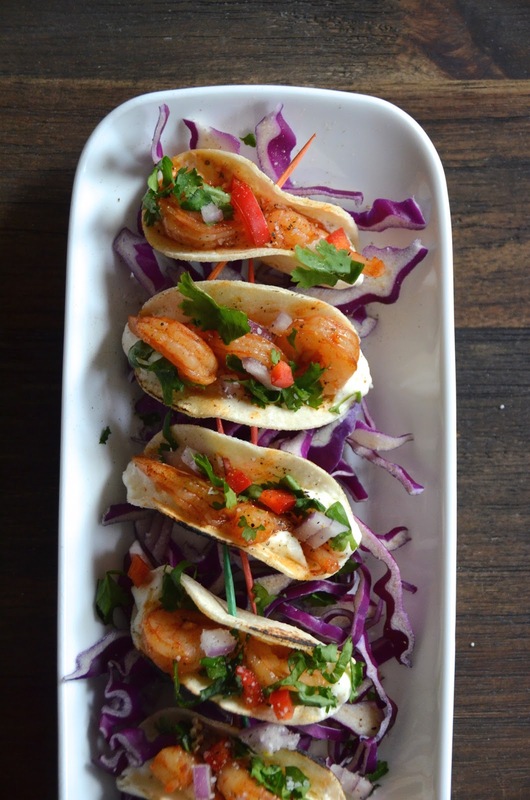 Garnish tacos with fresh cilantro.